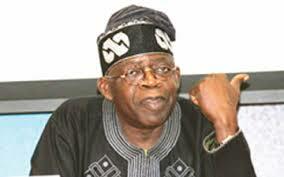 Bola Tinubu has hinted that the letter written by former president Olusegun Obasonjo should not be taken seriously. Tinubu noted that Obasanjo is simply trying some political games in form of letter writing to president Muhammadu Buhari. National Leader of All Progressives Congress, APC, Senator Bola Tinubu said that the former President, Chief Olusegun Obasanjo was playing politics with the open letter he wrote to President Muhammadu Buhari which has generated controversy, adding that if the Former President had meant well, he would have met with the President to talk about the issues he raised in the letter since he was Senior to Buhari both in the army, as head of State and as President. His words “They both had the same background. So, I believe that would have been the Conversation of military heads of State retired. They have unfettered access to each other either through the Council of States or any other means, he could see the current President privately. He, Obasanjo was also his senior in the army, I think Obasanjo was playing politics with the public letter. That is all I see. They also met at the African Union meeting too. He has a way of discussing with the President any time he wants”.